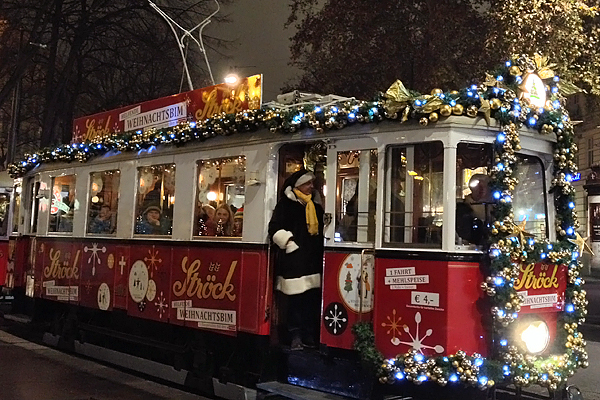 Visiting northern Europe in December is like visiting a Christmas wonderland. Tiny villages and big cities alike are decked out for the holidays, from the street cars to the street markets. 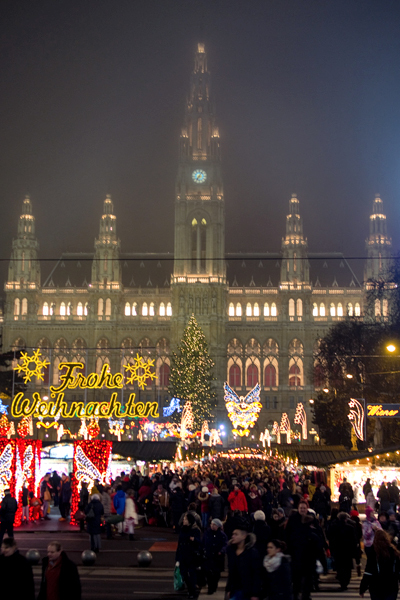 Smaller towns in Germany and Austria, such as Nuremburg and Salzburg, are known for their traditional markets, but larger cities like Vienna also boast numerous festive markets, each with its own identity. 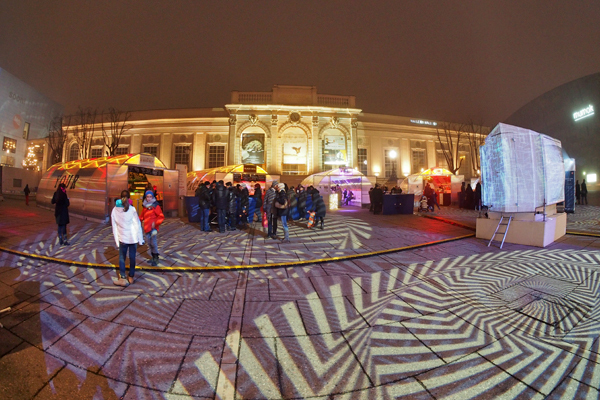 The Christkindlmarkt at the MuseumsQuartier is certainly the least traditional of the Viennese Christmas markets. In full swing only after sunset, this market takes place where Vienna’s more cutting-edge museums meet. After you visit the Egon Schiele collection at the Leopold Museum or the newest contemporary exhibition at mumok, be sure to stop at the sleek silver structures offering creative flavors of Weihnachtspunsch (mulled Christmas punch), and enjoy the music and light show. For a more traditional scene, visit Weihnachtsdorf Maria Theresien Platz. Sandwiched between the Kunsthistoriches Museum and the Naturhistoriches Museum, on the Ring, Maria Theresien Platz is in a prime location. 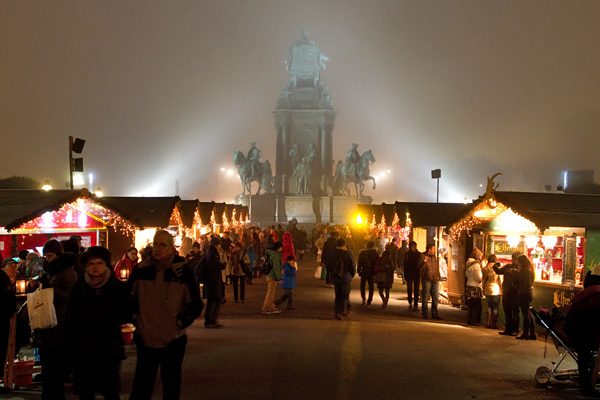 Surrounding the statue of Habsburg Empress Maria Theresa, the market celebrates the best in Weihnachtspunsch and sweet snacks. Try the egg nog-esque Mozartspunsch for local flavor. 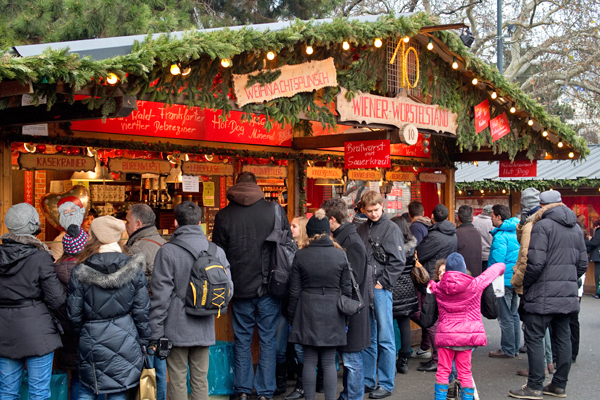 For the biggest and best market, plan a day at the Christkindlmarkt Rathausplatz. Against the backdrop of the Vienna City Hall, this sprawling market offers various wurst options, as well as extensive Weihnachtspunsch choices. By day, the market is filled with shoppers browsing traditional crafts and ornaments, and by night it is packed with revelers admiring the Christmas lights and festive atmosphere. It’s absolutely a market not to miss. 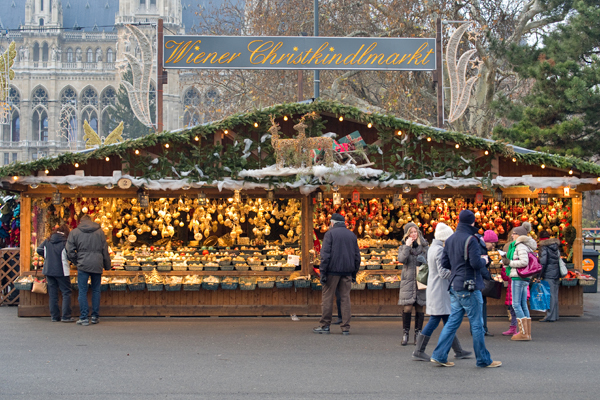 Other Viennese markets to add to your list include the Adventmarkt Karlsplatz for traditional crafts and food, Wintermarkt at the Prater for rides and fun, and Weihnachtsmarkt am Spittelburg for delicious street food lining tiny alleys. All markets boast hot snacks, pastries, mulled wine, and Christmas presents. All Weihnachtspunch is gluten-free, as are most potato-based snacks. Keep an eye out for baked potatoes and fries, and avoid the plentiful donuts and strudel at all costs. Most markets are open from Thanksgiving through Christmas—check back for 2014 open hours!